This rich and creamy HERSHEY'S® milk chocolate fudge topping will make any great sundae even better! Warm this fudge topping and pour it over ice cream, cookies, pies, or cupcakes for decadent desserts that your customers will love. It mixes well in recipes, and it's even great for stirring into milkshakes and other blended beverages. Put the finishing touch on your brownies, cheesecakes, and other top-selling desserts with this milk chocolate fudge topping. The 48 fl. oz. pouch reduces waste and is more environmentally-friendly than using bulk cans at your bakery, ice cream shop, diner, restaurant, or catered event. For supreme taste and genuine flavor, trust HERSHEY'S® milk chocolate fudge topping for your sweet treats! HERSHEY'S® is a leading North American manufacturer of chocolates, confections, toppings, and baking products. It all started with Milton Hershey, who began producing milk chocolate in 1905 in the town that now shares his name. Though chocolate was once a luxury for the rich, Milton Hershey helped make it more accessible and affordable for everyone, and HERSHEY'S® products are now known the world over. Hershey, Pennsylvania is known as Chocolate Town USA and for good reason--as soon as you offer HERSHEY'S® at your business, your customers will recognize a brand that stands for nothing less than quality, freshness, and great taste! This item is certified dairy Kosher by the Orthodox Union. I’ve bought it multiple times. This is the bomb! Fudge is right, this stuff is deliciously thick. Heated, it's exactly the treat you want it to be. The milk chocolate fudge topping is very delicious and is a great way to decorate coffees or desserts. The Hershey's brand is wonderful and the fudge is well priced. 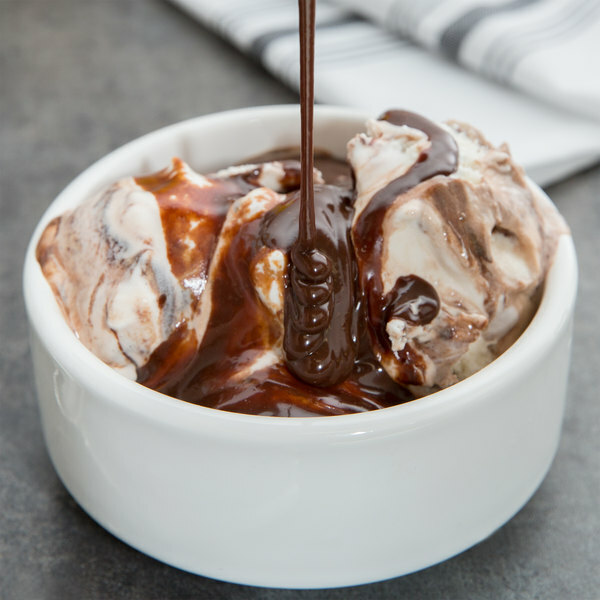 This hersheys milk chocolate fudge topping is a great Chocolate syrup. Great for pie. Cake, fudge, brownies, ice cream, or milk. Has the great taste you expect from Hershey. 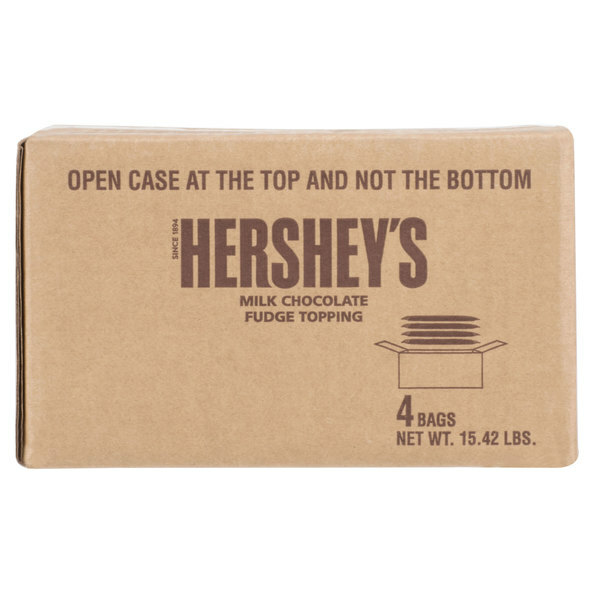 Anything that you buy from Hershey's needs to be bought by the case. Everyone loves all of their products. It is a great topping to almost any dessert in the world. 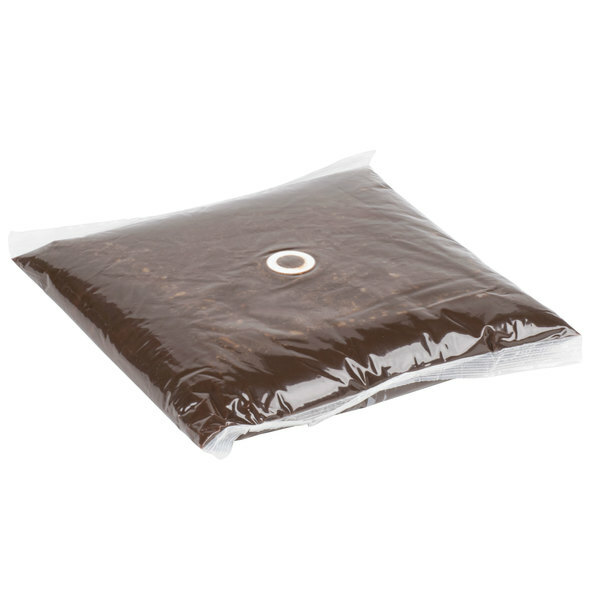 The Hershey's milk chocolate fudge topping bag is a great buy and stores well. The fudge works great in our sauce warmer and pumps out perfectly over ice cream and brownies. A great purchase for our parlor. This product is fantastic with ice cream desserts. Put it on top of cake or just regular vanilla ice cream for a treat that won't disappoint. The product and application are spot on as always with Hershey's. But I do I dispense the product in my old server can warmer? This fudge sauce is amazing. It tastes so good on top of vanilla ice cream. I only wish it stuck better to it. It almost slides on the surface of ice cream instead of mixing with it.